This Miley Cyrus Wrecking Ball Chatroulette video is pure genius. Steve Kardynal is a comedian/youtuber that does some great skits – you can check out his YouTube channel here. The video shows Kardynal as he parodies Miley Cyrus’s Wrecking Ball video, move for move, to unsuspecting users on the web-cam based social networking site Chatroullette. On more than one occasion users burst into laughter in response to Kardynal’s hilarious antics. When I first heard about this video, I have to say, I was a bit skeptical. However, after watching it, I can understand how this video climbed to nearly 9 million views in it’s first day online. That’s right, since it was posted 23 hours ago (as of this writing) the video has amassed almost 9 million views! Don’t get left behind, check the video out now and I promise you won’t be disappointed. Actually, I challenge anyone here to watch this video without laughing. Can you do it? Let me know in the comments. 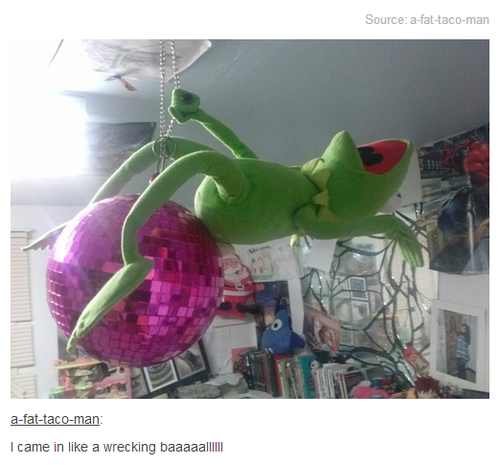 Amusingly, Kardynal is not the first to parody Cyrus’s Wrecking Ball.